General Scope of Project: The Washington Marriott Marquis Convention Hotel is located in the District of Columbia next to the Washington Convention Center and will be one of four Marquis properties in the world. The project consists of 1,170 guest rooms on fourteen floors above the lobby and more than 100,000 sf of meeting and assembly space. As part of the design team, Howe Engineers developed the code compliance approach for this unique multi-use building and developed several performance based designs to achieves the owner’s goals while providing a cost effective life safety design. Some of the savings realized by Howe Engineers, Inc. analysis included over $1 Million of construction cost in the Fire Proofing of Large Atrium Columns and a 50% Reduction in the Smoke Exhaust Capacity Required. Raleigh Convention Center, Raleigh, NC. 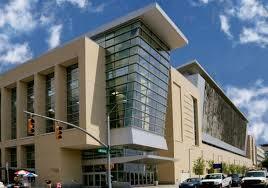 General Scope of Project: The new Raleigh Convention Center is located in the in Downtown Raleigh, North Carolina. 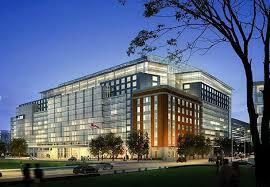 The building is designed as Type IB Construction using the non-separated use provisions of the Building Code. In addition, the building utilizes advanced smoke control throughout the exhibit hall and in the underground portions of the building. As part of the design team, Howe Engineers developed the code compliance approach for this unique multi-use building and developed several performance based designs to achieves the owner’s goals while providing a cost effective life safety design. Some of the savings realized by Howe Engineers, Inc. analysis included significant reductions in sprinkler installation cost and reduction of areas needing smoke control with innovative code approaches.